Demerged entity of Omkar Speciality, Lasa Supergenerics got its shares listed on the NSE at Rs 140.20 per share on September 21, 2017. Demerged entity of Omkar Speciality, Lasa Supergenerics got its shares listed on the NSE at Rs 140.20 per share on September 21, 2017. Lasa Supergenerics surged by 5% on the NSE to hit a high of Rs 147.20 per share on the stock exchange on Thursday. Lasa Supergenerics hit an intraday high of Rs 147.20 per share and an intraday low of Rs 136 per share on NSE on Thursday. The stock also breached its upper circuit. The stock recorded a trade volume of 7,96,802 shares and a trade value of Rs 1,152.49 lakh on NSE during the Thursday’s trade. Meanwhile the share price of Omkar Speciality Chemicals fell by 4.5% to Rs 81.65 per share on the NSE during Thursday’s trade. At 1132 hours, Omkar Speciality Chemicals was trading at Rs 83.05 per share, lower by 2.29% on NSE on September 21, 2017. Post the demerger, every shareholder holding one share of Omkar Speciality Chemicals was allotted one share of Lasa Laboratories. 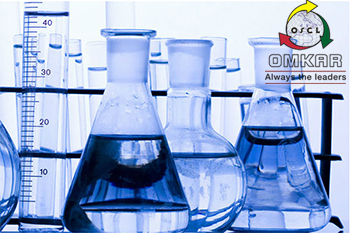 Omkar Speciality Chemicals has around 10% of the equity of LASA Laboratories after demerger.